Welcome to the Cinema Search page formulated by mpaop. Lahore is first city of Pakistan where first ever cinema of Pakistan was built named Pakistan Talkies which is still running. Afterward, maximum cinemas were built in Punjab in all over the Pakistan. On the other hand cinema once taken as one of the best entertainment but with the passage of time it has reduced its attraction specially here in Pakistan, reasons may be standard of films, condition of cinema houses, prevailing political and security situation of the country or what so ever……………… but here we’ll not generate a discussion on this awful topic rather on this page days would be remembered once silver screen media used to be at his blossom and we saw almost 750 plus cinema houses in all over Pakistan which are left less than two hundred at present. So starting from that period till to date details of cinema house with their current status have been formulated here with the premise which exactly is the aim of mpaop. Here is the statical summary of some of the main cities’s cinemas ever built in all over Punjab with their latest status. For rest of cities see below …. to be built instead of cinema. 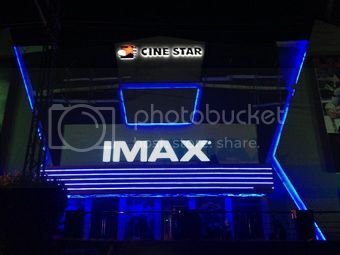 info@cinestar.com.pk Fist IMAX cinema of Lahore was inaugurated by MNA Hamza Shahbaz Sharif on June 27, 2014. The inaugural function was attended by Fiza Ali, Shaan, Syed Noor, Shahzad Gul, Sajjad Gul, Jahanzeb Baig, Nadeem Mandviwala, Sh. Abid Rashid, Nasir Ismail and many more. After the Inaugural ceremony, Hollywood film Transformers was projected which was enjoyed and appreciated by all and declared it as another step ahead in the betterment of cinema in Pakistan. Analogue Begum Naseem Sharif Demolished 7310309 Historical Imperial cinema of MacLeod road Lahore was demolished to be replaced with Commercial plaza in June 2014. Imperial cinema was also known as Moonlight and was built before the creation of Pakistan.